Where history and romance intertwine with a Hoi An wedding. Hoi An's rich heritage is an inspiring backdrop to stories of love. Exchange vows with views of the Thu Bon framed behind you. Celebrate with a Vietnamese banquet on the poolside terrace, then dance the night away in the elegant ballroom. 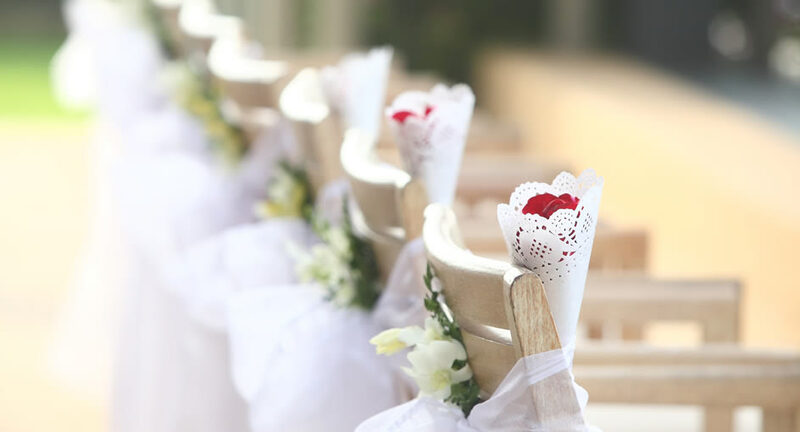 Choose from our inspiring Hoi An wedding venues and make your dream day come true. Say ‘I do’ on the banks of the Thu Bon. Both a verdant riverside terrace and indoor dining area are available for your event. Beautifully landscaped gardens and blooming flowers frame the poolside terrace. Make your promise of everlasting love with the gentle flow of the river in the background. An intimate and elegant ballroom is transformed with your chosen theme, while a stage and full audiovisual technology support wedding toasts and live entertainment.